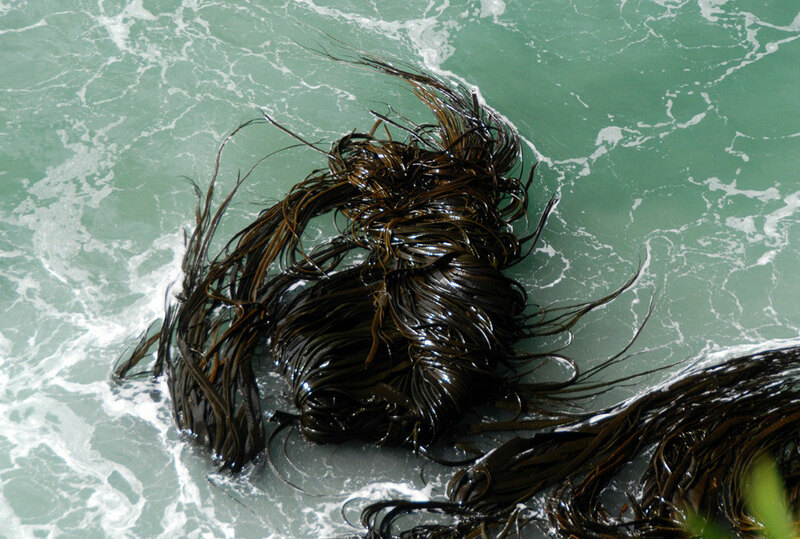 The seaweed on the Otago Peninsula is dominated by Bull Kelp. 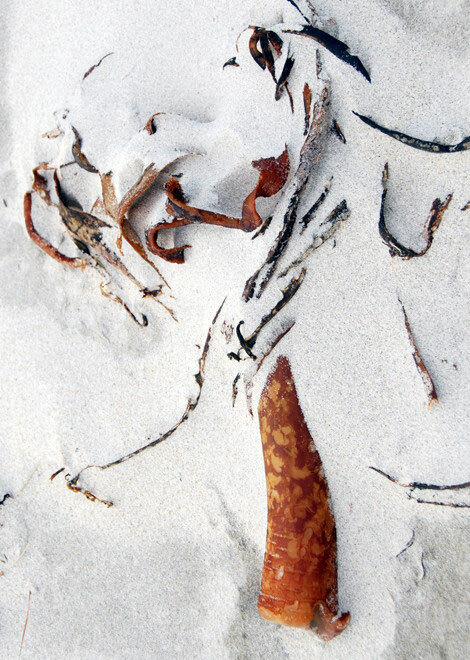 On our visit to the Cape of Good Hope in South Africa a different seaweeds - Sea Bamboo (ecklonia maxima) Split Fan Kelp (laminaria pallida) and Bladder Kelp (macrocystis angustifolia) were dominant. See here for photos. Fronds of Durvillaea antarctica have an internal honeycomb-like tissue which keeps the blade afloat. 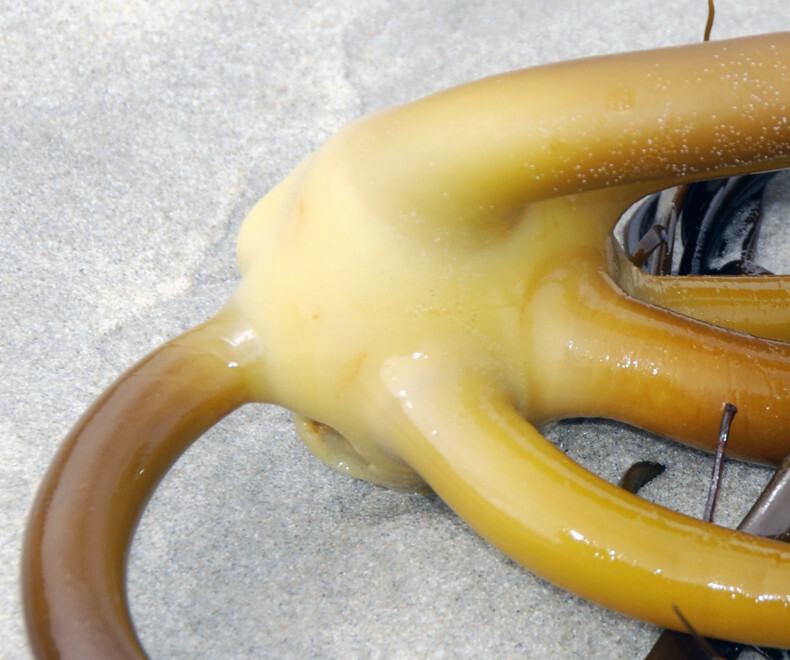 And the seaweed adapts to conditions: the more exposed the site, the more divided the fronds. The holdfast stems are as thick as a man's forearm and Otago residents have long used them to make bouncing balls - you can see below and one here. 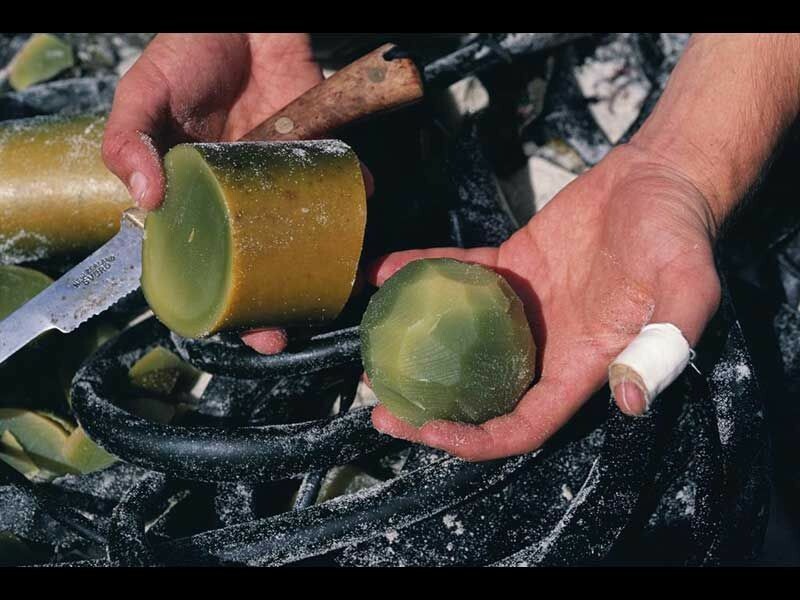 Bull kelp (cochayuyo) has been eaten in Chile for 14,000 years according to this interesting blog (Eating Chilean). 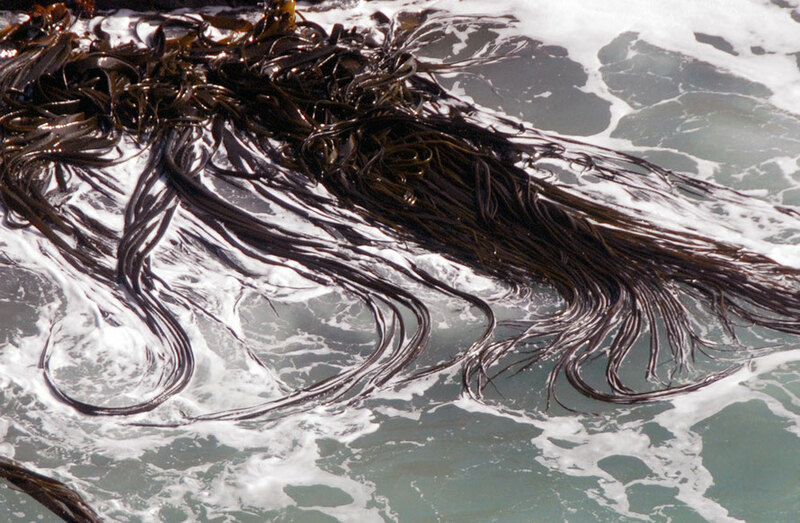 I was intrigued by the beautiful way in which the kelp stalks have been bundled up. In the picture below you can just see the honeycomb structure of the bull kelp (where it is folded) that is so important for its buoyancy. The southern Māori tribe Ngāi Tahu had various uses for bull kelp, or rimurapa: the narrow stalk, connecting the holdfast to the blade, was fashioned into a flute; the blade was roasted and chewed; and wide blades were used as bags for preserving food. 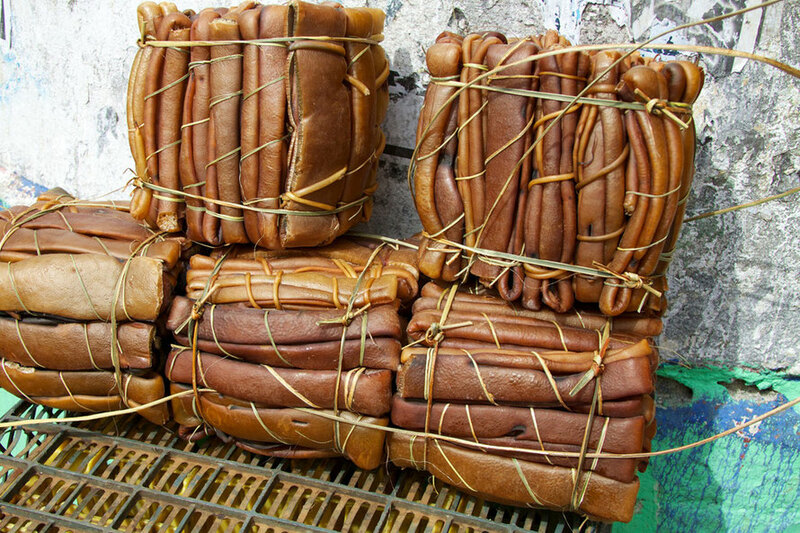 Māori made bags called pōhā by splitting open the blades and inflating them. They produced the bags in large quantities during summer in preparation for the muttonbirding [titi] season. Inflated blades were hung up to dry for several days, then deflated and rolled up. See my page Searching for Blueys and Sooties on the use of poha bags in the harvesting and preservation of 'muttonbirds'. 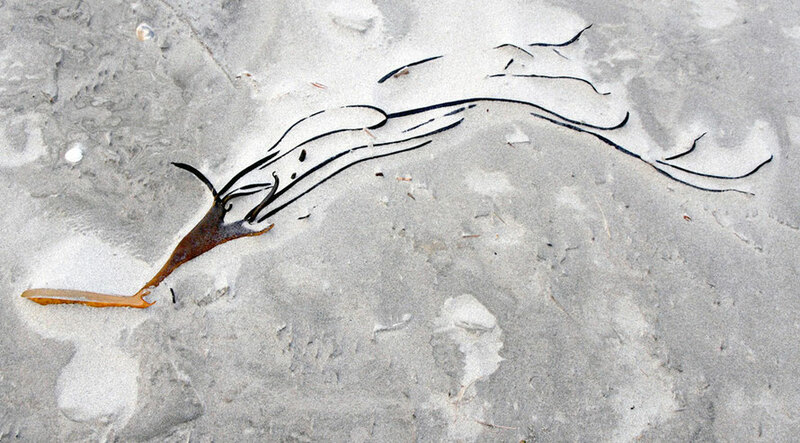 New Zealand has 850 species of native seaweeds - a third of which are endemic. 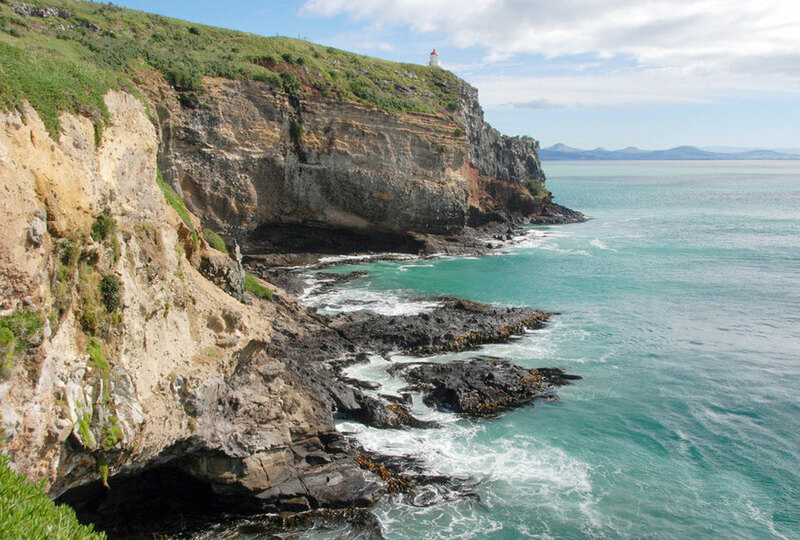 the south, in an area encompassing Fiordland, Stewart Island and the Otago coast. Taiaroa Head, Otago Peninsula and Bull Kelpr growing in the full force of the Pacific Ocean.